In an article called The Dark Court written by The Dark Judge/Focus on c64.sk on october 16th, the production is reviewed: "Manhood 2 (81/100). It seems that Hollowman still hasn't said all about the misconceptions of manhood. This time the point of view switches between that of a (spoiled) girl, making clear to her boyfriend he's interchangable, and that of the boy itself, doubting if his current life is the one he wants. Quite an original method and it works great too, especially when the finale kicks in. Here clever animations are telling us to break down all icons, to follow the road less travelled, to be true to oneself, even if the world will dislike you for it. 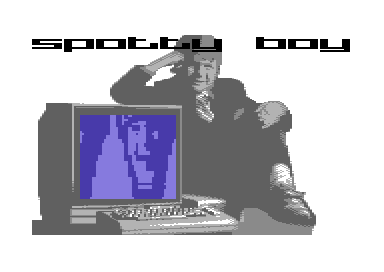 For a c64 demo this is heavy stuff indeed, but it is done in a powerful way with only the too-cheerful music and Hollowman's trademarked bad graphics spoiling the experience a bit."